We only began measuring rainfall in March, 2012. This has mostly been a period of very low precipitation, with our area in the worst drought recorded. For Mother Nature's Backyard, the drought continued through February, 2018. 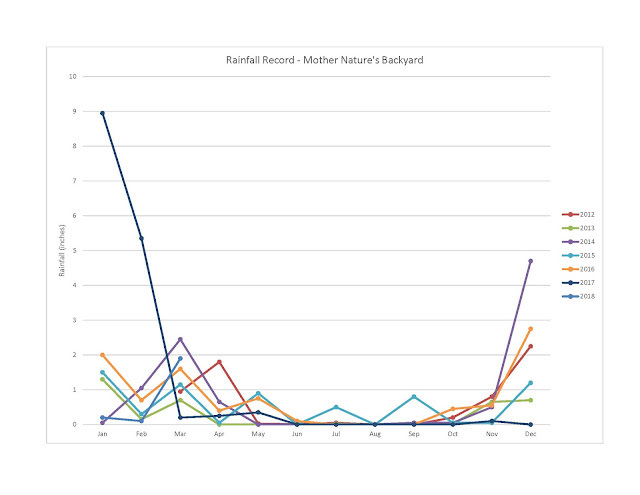 Thankfully, we had a normal March, with fairly regular rainfall. Still, this has been a very dry wet season for the western Los Angeles basin. In fact, it may end up being the driest recorded since the 1800's. Here are the rainfall totals in Mother Nature's Backyard as of 3/31/18. 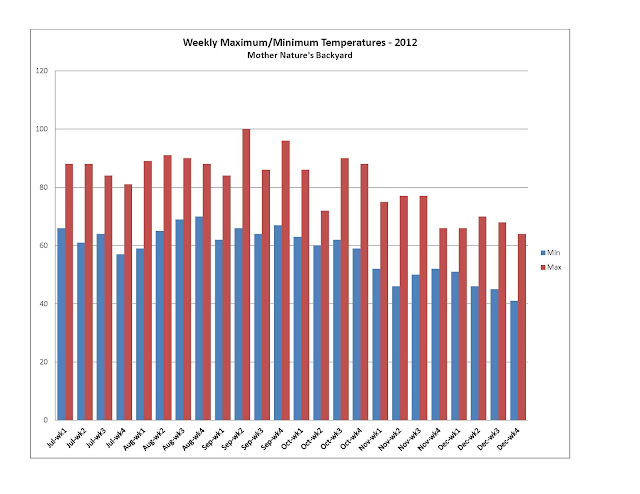 We began measuring weekly temperatures the first week of July, 2012. Here are the minimum and maximum recorded temperatures as of 12/30/12.